I recently traveled back home to Sicily to spend a few days with my family. As some of you know this is where my 1972 GTV 2000 is located. 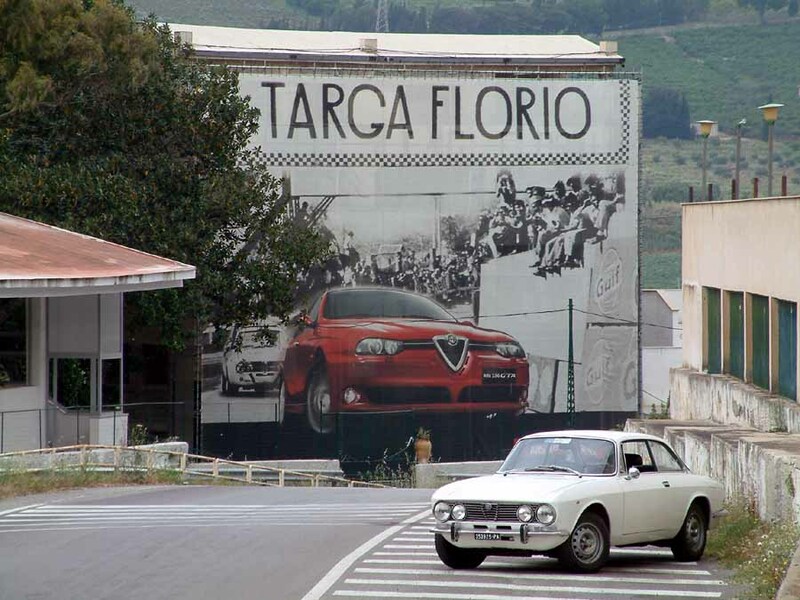 Sicily is also home to the oldest race in the world, the Targa Florio. 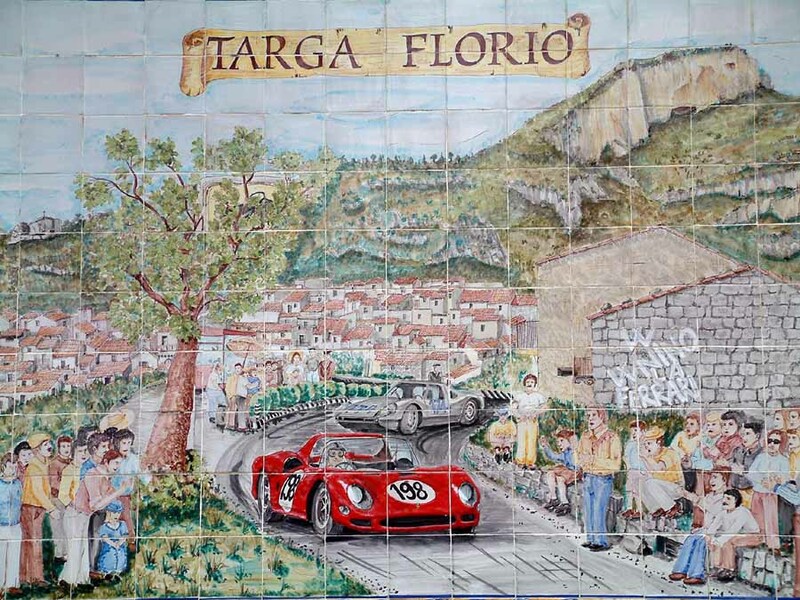 Like the Mille Miglia, the Targa Florio was raced on public roads. It was disputed as a road race from 1906 to 1973. 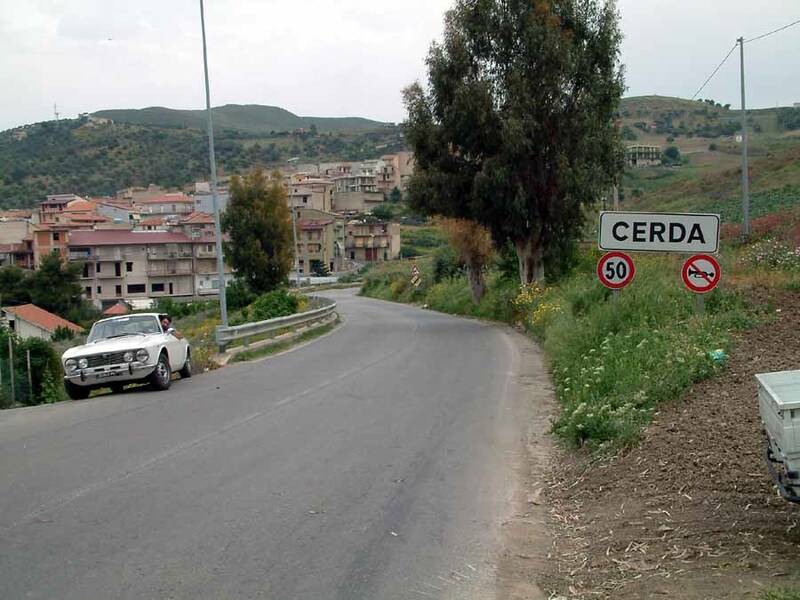 After that cars were deemed too fast for those roads, which even included city streets in the small towns of Cerda and Collesano as part of the road course. 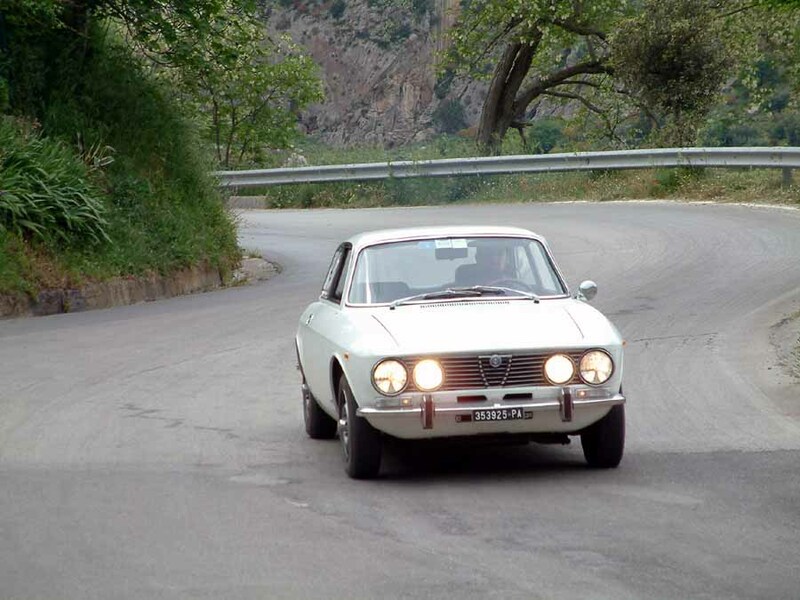 The race Targa still ran as a national race until 1977 but, following a tragic accident in which several spectators were killed, the Targa Florio became a Rally with validity for the European and Italian Rally Championships. 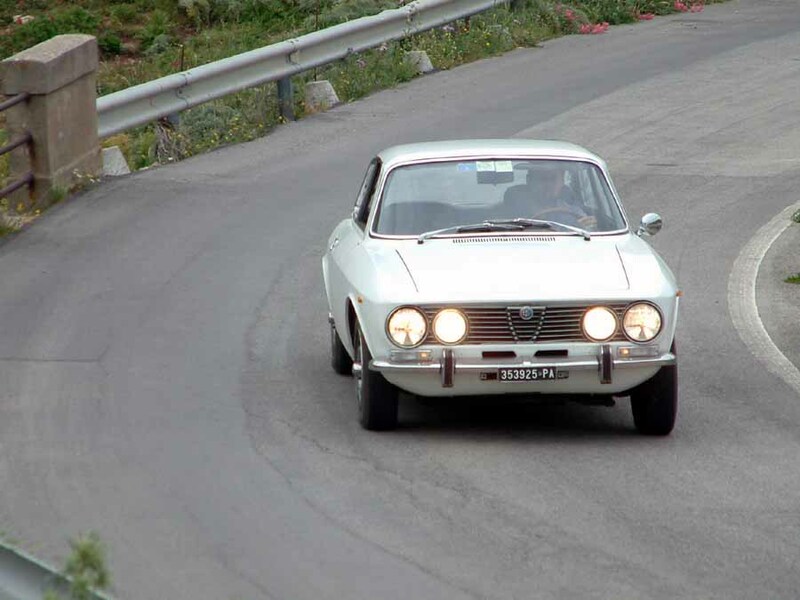 While the road race was disputed on a closed road circuit of 72 Km to be repeated several times, the Targa Florio rally involved racing on closed sections of the original circuit and additional roads in the Madonie Mountains. I was unfortunately too young to go watching the classic road race, but I was old enough for the rally editions and went to many of those during the 1980s. 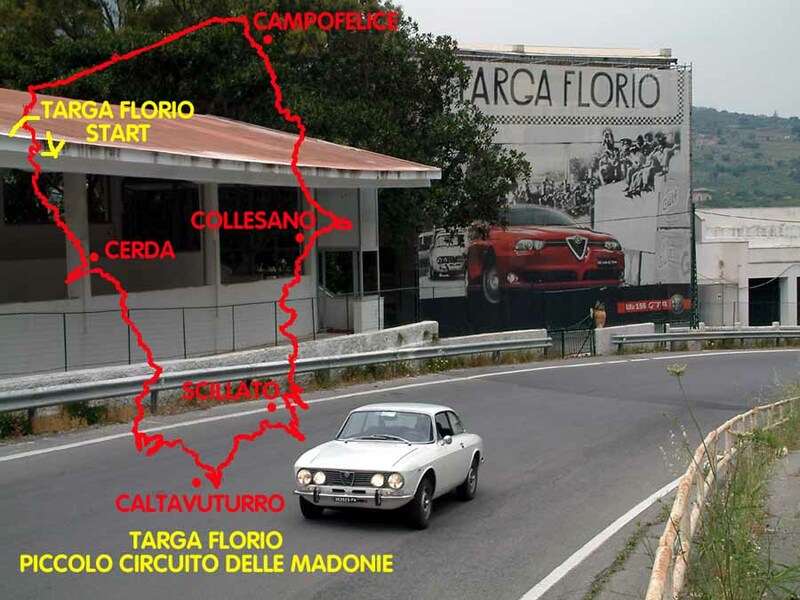 As such, I was familiar with the Targa Florio roads but I had never driven the entire, original circuit also known as the Piccolo Circuito delle Madonie. So I did it. 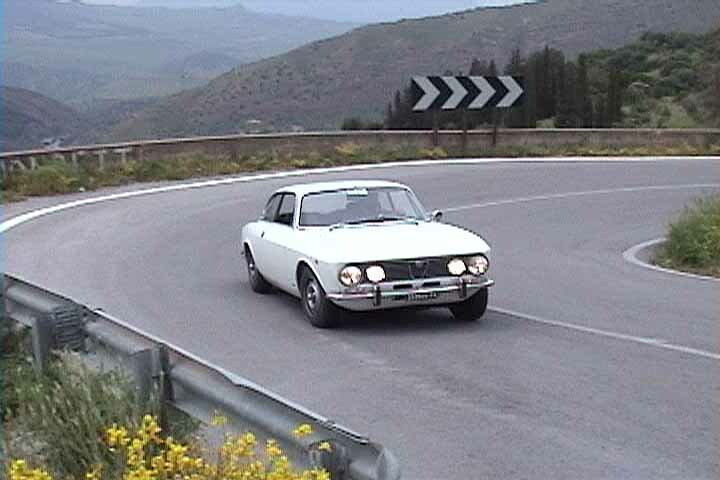 I took off on my GTV and drove the entire Targa Florio. My friend Vincenzo helped documenting the historic event by taking pictures. For the most part the roads of the Targa Florio are not heavily traveled, and thus I could drive at speed for most of the lap. It was great fun and I could appreciate how challenging these roads are. Some sections are quite dangerous, at times the road presents elevation changes that will make your car jump and many, many interesting turns. The passage in front of the pits and the tribune, also the start/finish line, is remarkably challenging as one is turning left at high speed and the following straight is followed by a left-right turn that must be driven to be appreciated! The experience was made even more rewarding for an Alfista by the fact that the Tribune were covered with a huge advertising of the Alfa Romeo 156 also displaying a GTV like mine! Well, enjoy the pictures. ABOVE: Driving by the Tribune... what a thrill! 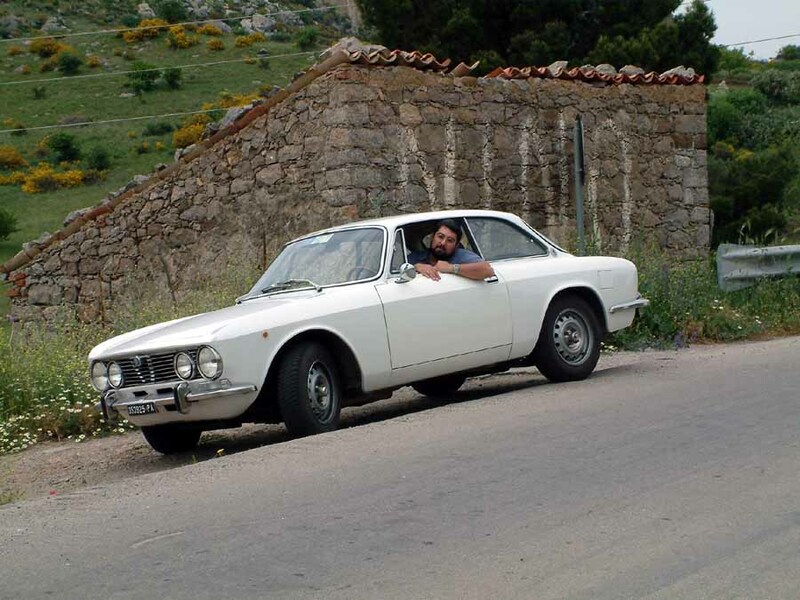 BELOW: one of the many places where the past comes alive: the sign behind the car reads "Nino", for the sicilian driver Nino Vaccarella who won the Targa Florio three times. 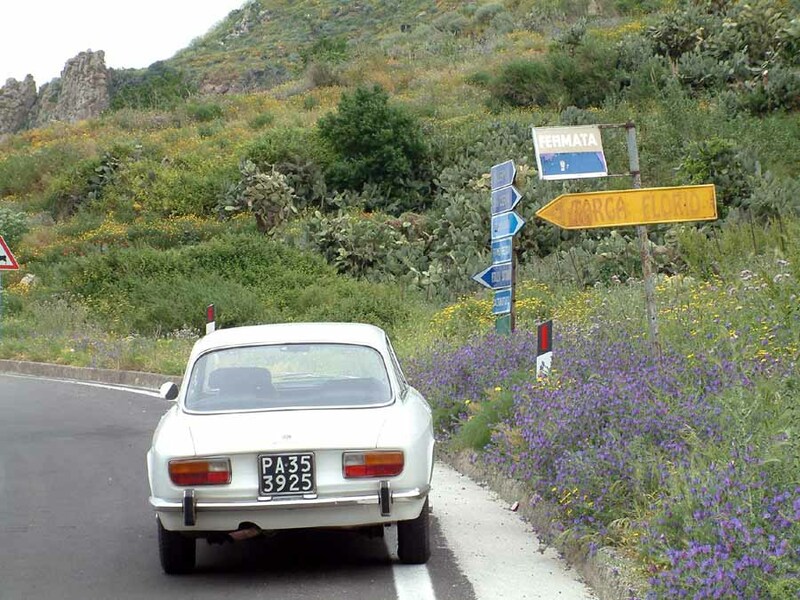 ABOVE: A road sign marks the route of the Targa Florio. BELOW: Artwork depicting the 1965 victory of Vaccarella driving a Ferrari. It can be seen in Collesano. 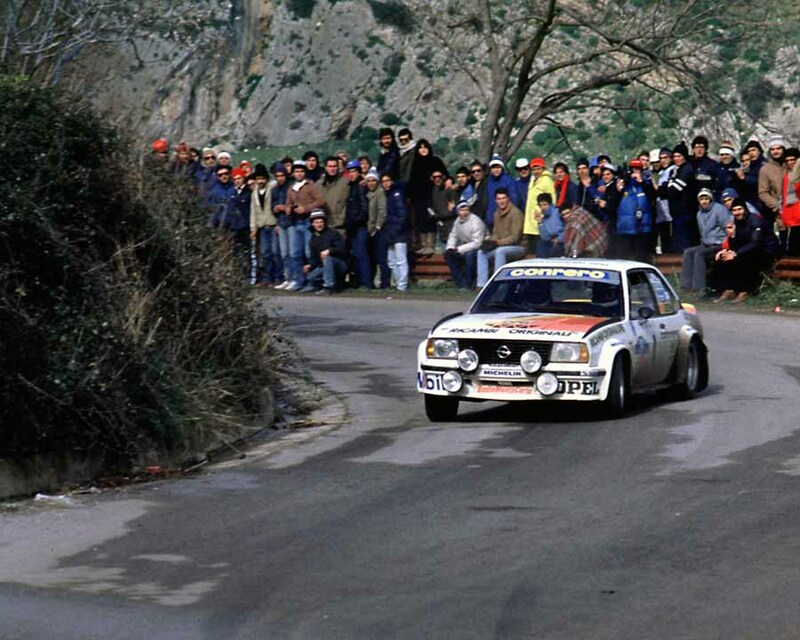 ABOVE: an Opel Ascona 400 gets sideways in a very challenging turn approaching the village of Collesano during the Targa Florio Rally in 1982. 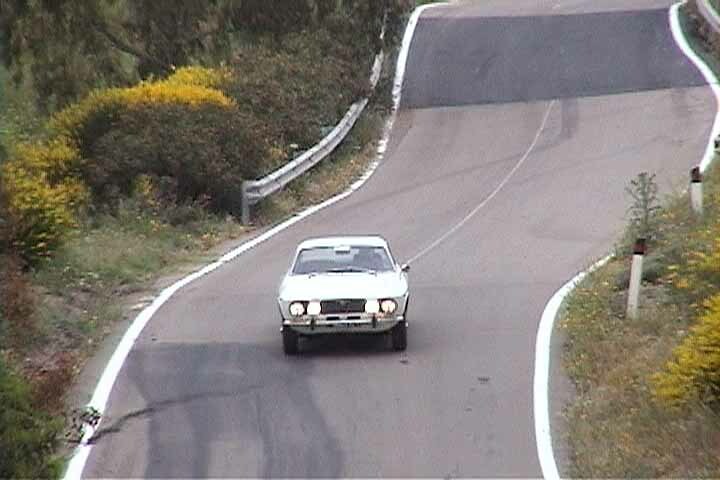 BELOW: same turn but 21 years later, your WebMaster at the wheel of his 1972 GTV. 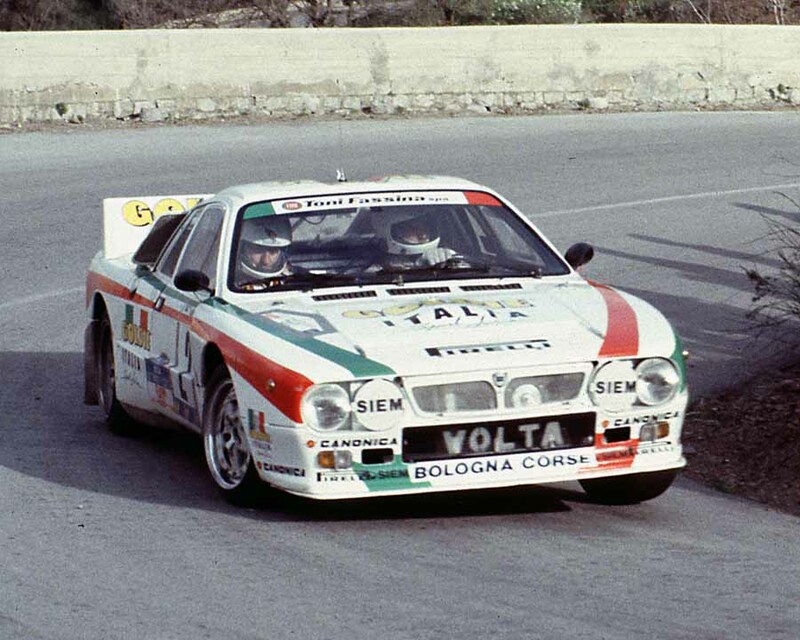 ABOVE: The winning Lancia Rally 037 at the 1983 Targa Florio drives through the crowd-favorite hairpin at Bivio Scillato. BELOW: Your webmaster in his GTV, exactly 20 years later. Could not get the best line through the turn to make sure I would not crash with incoming vehicles.